The first trailer for the Hollywood adaptation of Ubisoft's popular Assassin's Creed has been published online. Starring Michael Fassbender, Jeremy Irons and Ariane Labed, the film appears to be based on the first Assassin's Creed game, although the setting has been shifted to Spain during the infamous Spanish Inquisition. While recent games in the series have all but abandoned the modern-day story involving the Animus device, the film reverts to this format, placing Fassbender in both the modern day and the past. He plays Callum Lynch, who is kidnapped by Abstergo in the present and forced to relive the memories of one of his ancestors, a renowned member of the Assassin order who died 500 years previously. Adapting games into films is a notoriously difficult process but it helps that the Assassin's Creed games are quite cinematic to begin with, and while the internet has raged against the use of a Kanye West song on the trailer, we think it looks about as faithful as it's possible to be to the spirit of the series. There's dual-blade action, lots of slow-motion leaping and even a jump from a tall building at the end. Danny Wallace is mericfully nowhere to be seen. The movie is released this December, and will ironically lack a game to support it - Ubisoft has decided to give the franchise a year off in 2016. While we haven't have an Assassin's Creed title on a Nintendo console since Black Flag, there's a good chance the next instalment could hit the NX. But it's a generic action film so I'm sure it will do astonishingly well. I look forward to having 7 Assassins Creed films per year from now on. I'd like to give that film a chance, as I like the series, but I'm afraid the sight of Jeremy Irons in any film post-I-don't-know-when indicates to me that it could be a little ropey. I was about to ask how this has any relevance to Nintendo but I guess it was another opportunity to shoehorn the NX into an article of yours. Looks pretty neat. Admittedly, I don't know much about Assasin's Creed. Would like to try one of the games at some point. 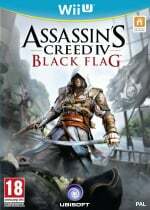 Maybe Black Flag since I like pirates, but i'm open to recommendations. Shocked by the change of weaponry from hidden blades to fear, surprise, a ruthless efficiency, and an almost fanatical devotion to the Pope. If want to play an Assassins Creed game play 1 and 2. And then stop. If you want to play a pirate game, play Black Flag. @Tsurii Gotta get those clicks somehow! @AlexOlney And nice red uniforms. Dunno...looks like it has potential. Thing is, they never really stay true to the times so it's hard to take seriously. So, what exactly IS the Danny Wallace connection with this? I've heard it mentioned, but I have no idea what the relevance is! Kinda reminds me of the games.....except the trailer had more game play. Rather pleasant images. Poor selection for a soundtrack, though, IMHO. @Damo Yes, but it doesn't really have a big history with the company. The only two games I can think of on Nintendo consoles are 3 and 4. It just sort of seemed kind of strange. I mean, I could imagine something related to, say, Megaman, or Sonic, or Rare (given they used to work for Nintendo) being a big deal for Nintendo fans, but not Assasin's Creed, unless it was something directly related to Nintendo. @NintendoFan64 Its a franchise that has been on Nintendo systems before. It has relevance. Face facts and get over it. This looks awful. I was skeptical when I first heard about it, but this trailer confirms it. @A01 I played the first one and it was terrible. The combat was slick but it was literally the most repetitive game I've ever played. Eavesdrop, pick a pocket, assassinate someone, climb a tower and jump off into a bale of hay. Repeat 8 more times. Game over. Even the upgrades added nothing new to the gameplay and the story was meh. I haven't touched the series since although I may give Black Flag a try if I can ever find the time for it. The fact that it's not a "traditional" Assassin's Creed game would be a good thing to me. @DoctorWily The second AC was a massive, massive improvement on the first. What up with trailers and not fitting music lately? Warcraft Movie, BF1 and now this. I think I'll wait for some feedback on this film before I go see it in theaters. I like Assassin's Creed, but video game films don't always translate over to the silver screen very well. @NintendoFan64 Unless you count the two mediocre AC games on DS. @Damo I guess that would be a good first step, yeah! Ubisoft seems to be in the belief that this will be a massive hit. It has a massive budget (roughly $200 million) and is coming out a week after Star Wars: Rogue One which is more or less fishing for the same audience. If I were them, I'd rethink this strategy, but it's obviously too late for that. Good luck Ubisoft, but I don't think you'll like the outcome. About the song, there has always been a modern song with the Assassins Creed game trailers. I am glad this film is no different. Am I a fan of Kanye West or the song itself? No not really (Though I do quite like Gold digger) but for the purpose of the trailer I think ot works as well as the game trailers always have. In regards to the film itself, I think the film will be about as faithful a recreation as the Prince Of Persia film. And about as enjoyable. Take from that what you wish. Hahaha, you are quite right, my apologizes. Note to all those reading later, I have edited my post to fix this mistake. Gonna watch it because it has Fassbender - since Prometheus, I like that guy. There is no way this film will stand a chance even if it is a good film against the Titan that is a new Star Wars feature film ,they really should pick another opening day. @Totaldude911 ...I honestly had no idea there were Assassin's Creed games on the ds. Michael Fassbender!! I'm sold. Best movie ever! @GloverMist Danny Wallace voices one of the supporting characters who's been in most of the games since AC2. Well somebody has got to keep working on the original plot since Ubi walked away. I have mixed feelings about this but I'm cautiously optimistic. I liked the PoP movie (since it was a mashup of ideas from all the games plus slightly original storyline) as I didn't expect it to be the game verbatim. So this might not be so bad...but if any pirates show up...I'm out. Haven't watched it all, skipped, but it looks pretty good. Maybe it'll finally be a good movie game. The flopness of the recent Ratchet & Clank is hilarious . 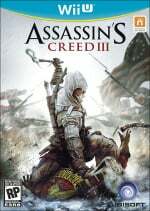 As for the games, I loved AC II because of the Italian setting, and III and IV are pretty good with the GamePad, but if I were Nintendo, I'd refuse Ubisoft games on my next console - telling them they have to evaluate the relationship first or something, same for EA AC has been too overdone by now.... if they want AC on the NX they should bundle all the games after AC IV in one disc. @Ryu_Niiyama Well, unfortunately I'm sure there will be fair number of people who will get this movie off the internet for free. Looks neat. I'd like to see it. Still very behind with the games, though. I'm currently working on Revelations. @antipop621 my honest opinion is to skip ACIII. I myself am an avid reader and history buff of the Revolutionary War period but I really hated that game. That's just my opinion though. @Tuosev LOL I think you misunderstood me. I was referring to ACIV:Black Flag which is pirate themed (and my least liked entry in the AC franchise) not internet pirates. Unless you meant that as a joke; if so, well played. @NintendoFan64 As someone who finished both of them... don't be like me. They really don't get better as they go. This picture perfectly encapsulates how idiotic this series is. I hadn't read anything about the film so the spanish inquisition thing did make me start saying "there two, two main rules of war.."
I would've preferred it if we just play the ancestor and that person leaves a trail for the next family member to join the creed. Kinda like The Phantom and how the son always continues the tradition. 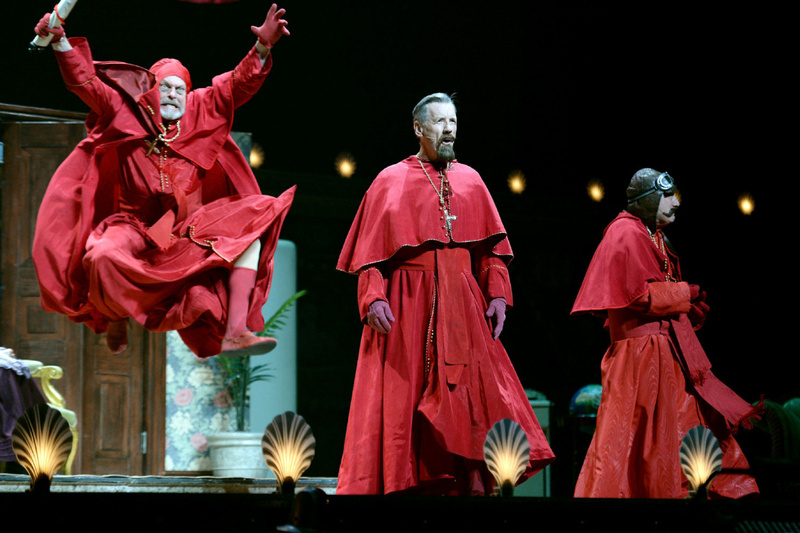 I was under the impression they had already confirmed that it was in the Spanish Inquisition. Good trailer, I guess but rapping is terrible in any form of trailer, especially this.